which is run by a local family company with 40 years experience and an experienced professional crew, alway ready to help our customers. Enjoy our exciting and relaxing tours in our splendid boat. You will be able to visit the beaches on both the north and south coasts of Ciutadella, as well as taking a swim in the crystal clear waters. 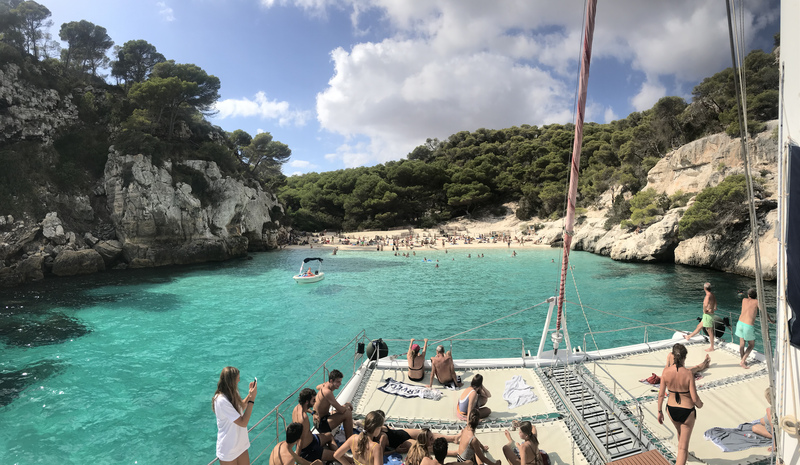 Access our photo gallery to check out: details of our boat, the beaches of Menorca included in our excursions, activities, sunsets, and more…Enjoy! A majestic city embedded in the most western part of Menorca, Ciutadella is an essential place to visit on the island. You will find us in the scenic port called "Passeig des Moll." Enjoy the sea of Menorca and make unforgettable memories to last a lifetime. 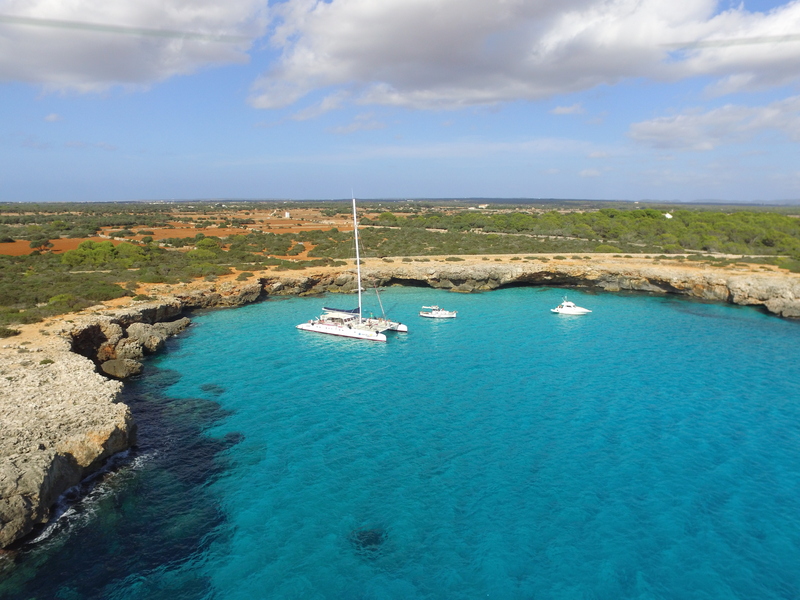 Our catamaran is unique in the port of ciutadella and has all the to ensure your comfort and enjoyment. Your only. is to relax and feel in touch with the sun and the sea. We have an ample, cosy solarium/sundeck where you can lie down, if you so wish, a bar and comfortable seats in the sun or the shade. There are of course ladies and gentlemen’s toilets for your use. We have 3 wide safe ladders down providing easy access into the sea, at the front and back of the boat, so you can swim in the crystalline waters and you can have a relaxing dip!! During the day you have our bar at your disposal where you can have a refreshing cold drink while enjoying the beautiful landscapes at the secluded beaches we will be visiting. Book your trip, calling us on….we will confirm you the day and the exact time of departure. So easy! You could also book your trip at the OCEAN CATT office situated in the port of Ciutadella. Also available - exclusive service for events and celebrations, sunsets, a party. Consult us on the link or by phone. We adapt to your needs.